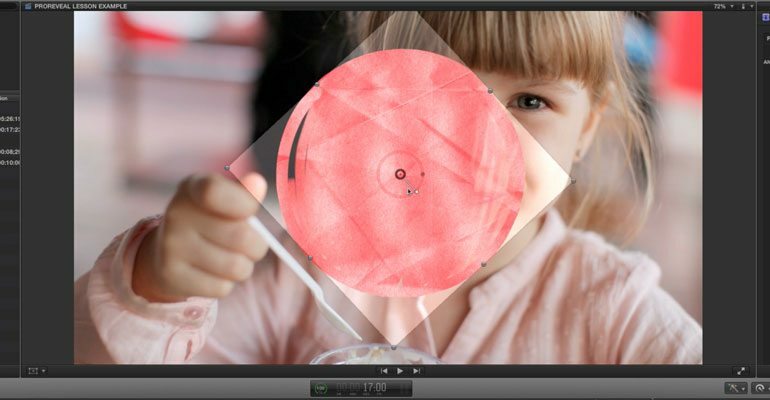 With ProReveal, users can reveal their media in a fun and creative way all with in Final Cut Pro X. ProReveal also allows users to reveal multiple media types on top of one another by applying multiple title effects. Users can select from more than 50 customizable presets each one offering the ability to make adjustments to their animation, opacity over life, width, height, and more all with a click of a mouse. 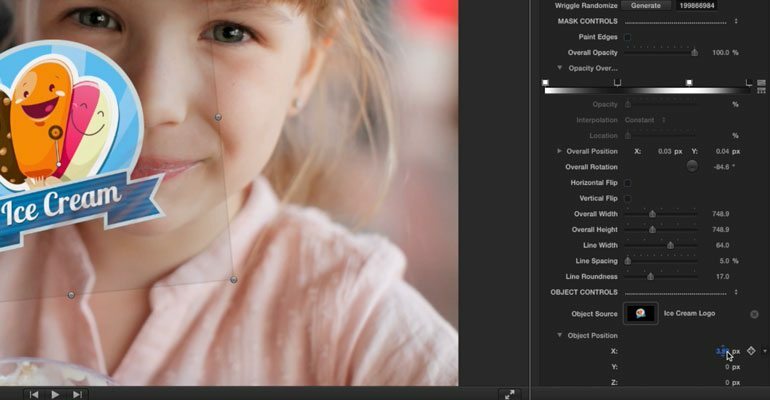 With ProReveal, users have the choice of over 50 media revealing title effect overlays. Users can drop each effect over any media of their choosing with in Final Cut Pro X and reveal another media type on top with ease. With ProReveal each user can select from four categories such as custom, lines, objects, and shapes. Users can adjust the animation type, offset, wriggle animation, opacity over line, position, angle, horizontal and vertical flip, width, height, spacing, roundness, source hue, source saturation, and more. With ProReveal on-screen controls, users can simply reposition, angle, alter the width, and alter the height of each shape in any way they choose. ProReveal on-screen controls makes it easy for users to get where and how they want their media to be revealed with out any frustration. 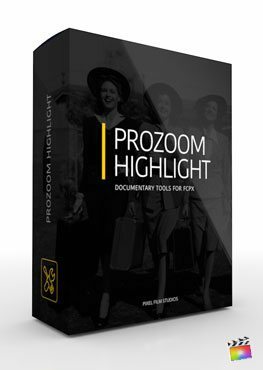 With simple to use on-screen controls users can keyframe the position, angle, or scale with a click of a mouse all with in Final Cut Pro X.
ProReveal was professionally designed to work seamlessly inside of Final Cut Pro X. As a FCPX title effect, each ProReveal preset can be dragged and dropped onto the users media and previewed in real time. With the published parameters found in the FCPX inspector, users have the ability to make further adjustments with just a few clicks of a mouse. Learn how to reveal media with the ProReveal Lesson. Let’s begin by selecting a clip in the FCPX media library to use as a background and dragging it to the timeline. Once, you have your footage in the timeline, go to the FCPX titles library to locate the ProReveal presets. Scan through the reveal types and select the one that best matches the look you want. Then, drag the adjustment layer above your footage on the Final Cut Pro X timeline and make it the same length as the clip. Once we have our reveal layer setup, it’s time to adjust the position and scale of our mask. It’s easier to do these modifications when looking at the blue mask placeholder, so we will make these changes before importing our logo media. Select the ProReveal title layer in the timeline. Then go to the Viewer Window. Use the center control point to position where you want the mask to go. Then use the outside control box to adjust the height and width of the mask. Finally, use the handle attached to the center point to adjust the rotation. Now that our mask is in place, let’s adjust the shape and texture of it. Go to the Mask Controls section of the FCPX Inspector window. Check the “Paint Edges” box to see the pressure lines on each paint stroke. 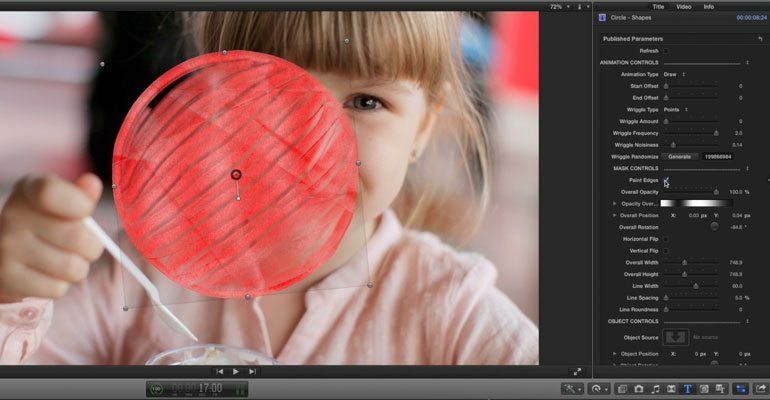 Next, use the overall opacity slider to change transparency of the revealed layer. Then, go to the Opacity Over Life gradient. Drag the white and black boxes along the line to control how fast you want the mask to fade in and out. Then adjust the arrow between the boxes to control how gradual these fades will be. Next, use the flip checkboxes to change the direction of the mask animation. Finally use the line spacing and roundness to shape the paint strokes. Now let’s adjust the animation of our mask reveal. Go to the Animation Controls section of the FCPX Inspector window. Use the Animation Type drop down menu to choose if you want the mask to reveal or hide your logo. Then use the offset sliders to change how much you want the start and end of the animation to be delayed. Next choose the “Wriggle Type” to control how you want the paint lines drawn on. 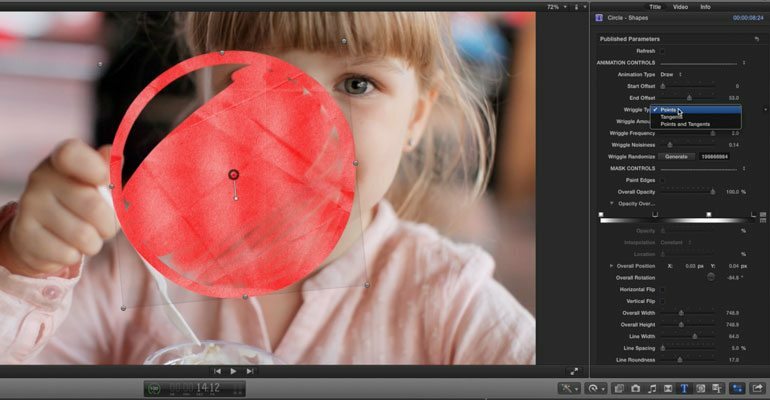 If you would like to add a wriggling, stop motion look to your film, you can turn the wriggle amount up. Then you can use the Frequency and and Noisiness sliders to adjust the speed and jitter of the wriggles. Now that we have our animation setup, let’s import our logo into the reveal layer. Select a logo png in the FCPX media library and drag it to the timeline. Select the ProReveal Adjustment layer and go to the Inspector window. Click on the drop zone placeholder. 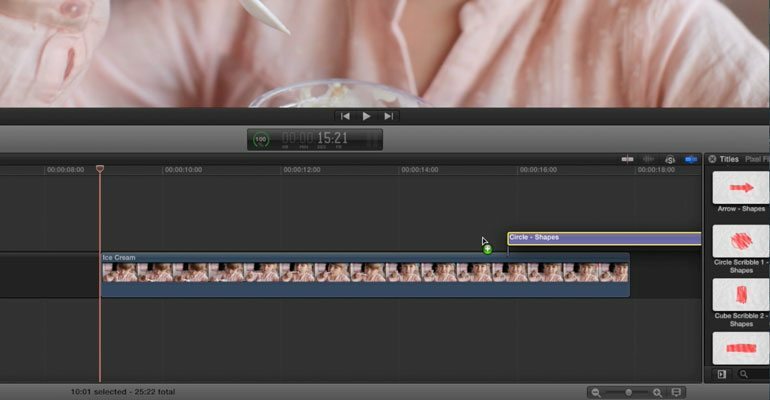 Then click on the image in the timeline and click the blue "Apply Clip" button in the FCPX Viewer window. Once the media is inside the drop zone, you can discard the image from the timeline. Finally, select the ProReveal layer and go to the Inspector window. And, adjust the object position and scale settings so that the logo fits the mask. Where do I find ProReveal? Once the installation is complete, you can find ProReveal in the FCPX Title library.